...A new brand of Cuban cigars which was introduced only in 1968, Cohiba quickly became the flagship brand of the Cuban cigar industry. 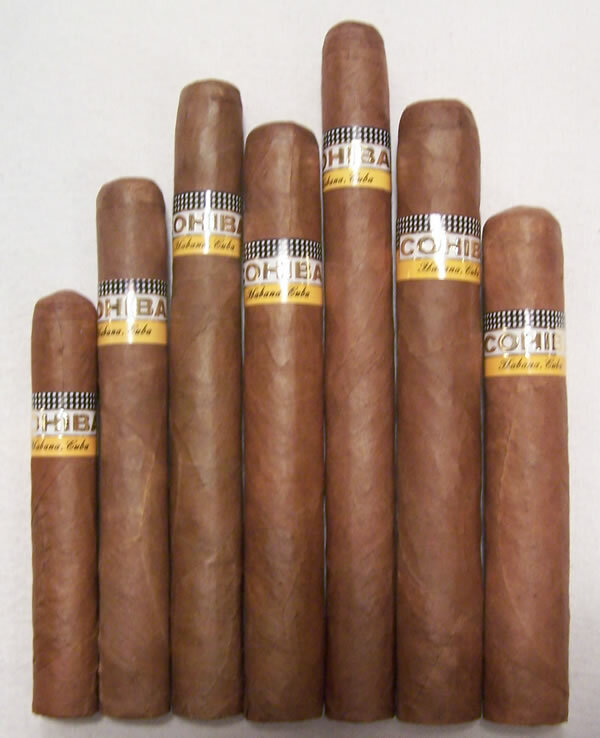 Developed initially as a medium bodied protocol cigar for presentation only by officials of the Cuban government, Cohiba was marketed widely beginning in 1982. The initial sizes were the Lancero, the Corona Especiale and the Panetela, with the Esplendido, Robusto and Exquisito added in 1989. In 1992, in salute to the 500th anniversary of Columbus' discovery of the Caribbean, the Siglo series was introduced. NOTICE: Due to shortages in Cuba this season, some Cohiba products are currently unavailable. Crop and wrapper leaf issues are apparently the problem and yes, it bugs us too! All prices shown for International shopping pages are US funds. Please note due to Federal Tobacco Act regulations we are NOT permitted to ship to Canadian consumers in other Provinces or Territories. Thank you for your interest in our products and service, we appreciate it.